The gods have returned! which makes me very happy. I am such a HUGE fan of Greek mythology and even though the latest Clash of the Titans was a failure, I still look forward to other Greek god epics. 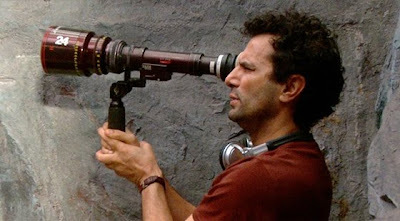 This project titled, Immortals is directed by Tarsem Singh known for The Cell (which artistically I loved!) and The Fall. Originally titled War of the Gods, this stars Henry Cavill as Theseus. I mention him specifically because anyone who knows me knows I'm his biggest fan. I have been waiting for a breakthrough role for him for some time now and I think this could be the one. Tarsem has also been recording video blogs that you can check out right here. Immortals is a story of a warrior prince Theseus who leads men into battle against imprisoned titans in order to save mankind. This is going to be a $100 million epic that will be converted to 3D in post-production (rolls eyes) and set for release by Universal late next year, 2011. 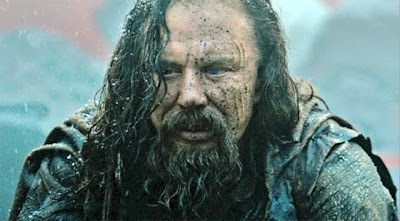 Also starring in this is Mickey Rourke as villain King Hyperionis Freida Pinto as Phaedra, Stephen Dorff as Stavros, Kellan Lutz as Poseidon, Luke Evans as Zeus, John Hurt as Old Zeus and Isabel Lucas as Athena. "The Gods are like superheroes in the film," Tarsem explains. "So they can kind of do what Batman does — not like Superman — so you can jump from a high things and not get hurt by landing down but he can't fly up." I'm definitely interested in this film and look forward to seeing more from it in the future, however I am annoyed they are making this film 3D in post production no less. Did we not learn anything from the latest Clash of the Titans ?! Wow! That looks amazing! And I am totally in awe of HC's musculature. You can count the muscles BETWEEN HIS RIBS, for pity's sake!! !